Harcourts Victoria announces the opening of its new Mount Waverley office as the South Eastern suburbs continue to flourish with parents drawn to coveted school zones and the soaring median house prices providing confidence of a strong investment. Leading Harcourts Mount Waverley will be experienced directors, Sue Kelly-Brown and Martin Giles, alongside their team members Martin and Sue came from a near by Harcourts office where they were regularly acknowledged within the Harcourts Group as one of the top performing offices in the country. Martin and Sue are area locals and see the opportunity for a real estate agency with a local approach. Director, Sue Kelly-Brown, says, “Strong knowledge and presence in the area is key to Harcourts Mount Waverley and how the office will operate. We have been working with the local community for years, listing and selling with great results and understand its unique real estate needs. Officially opening its doors on 17th November, Harcourts Mount Waverley will open with six staff and anticipate quick expansion. With demand for the relaxed lifestyle of Melbourne’s South East areas showing no signs of stopping, CEO Harcourts Victoria, Sadhana Smiles, says the network is excited to be adding to their South Eastern footprint. “Martin and Sue's knowledge of the area’s property market is second to none and we’re thrilled to have them leading the Harcourts Victoria expansion in to Melbourne’s South East,” Ms Smiles adds. Martin’s extensive business experience has equipped him with the analytical & negotiation skills required to succeed in the often complex world of real estate. In addition, Martins keen eye for detail, ability to communicate with people from all walks of life & passion for using technology to its fullest makes him the perfect person to help you with your buying & selling needs. Both Martin and Harcourts Mt Waverley are REIV members. Martin is also a generous contributor back to the local community. 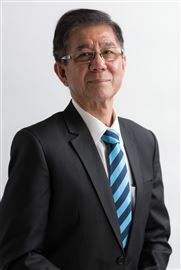 He was the School Council President at Wheelers Hill Primary School for 8 years and is also a life member and supporter of the Glen Waverley Rovers Junior Football Club. Martin moved to Monash in 1972 and currently resides in Wheelers Hill with his wife and two daughters. As a Director of Harcourts Mt Waverley, Martin is supported by a dedicated multilingual Sales and Support Team who know that clients want to deal with Consultants that have knowledge, expertise, honesty & integrity. We are committed to achieving the best possible results for our vendors. Backed by a network of over 780 offices in 8 countries with over 5,200 consultants and 125 years in the business, Harcourts is one of the world's fasted growing and most successful Real Estate brands. Sue’s impressive real estate career can be attributed to her courteous, professional and friendly manner, coupled with a love of being able to help both vendors and purchasers achieve their desired results, usually well-above expectations. Undoubtedly adding to Sue’s success is her in-depth knowledge of the city of Monash, having resided, studied and worked in the area since she was born, Sue’s understanding of the area is without doubt, an advantage to her clients enjoying such spectacular results. Arriving from a background in hairdressing, and with a keen interest as well as previous experience in house renovations and new-build projects with her husband, Sue naturally gravitated toward a career in real estate, going on to enjoy award-winning successes and exciting results. 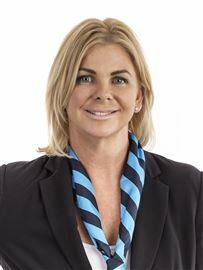 Sue is proud to now be a co-director, with Martin Giles, of Harcourts Mount Waverley. Sue’s infectious enthusiasm, personal attention and ability to listen to her clients and recognise their needs, while providing constant and informative updates throughout the sale period, ensures a stress-free and successful real estate experience. Honesty and integrity are one of Sue’s key values, and a testimony to the many referrals and long-term relationships Sue has built and maintained with her clients. In her free time, Sue likes to attend local sporting clubs and events, going on family outings and regular holidays to Bali with her husband and three children. Born & raised in the City of Monash, and still lives in the area, Brittany Brown has arrived in the Real Estate industry bringing a personable approach to her work. Her caring, warm nature and honesty are traits that are essential ingredients required to be a Real Estate Agent. 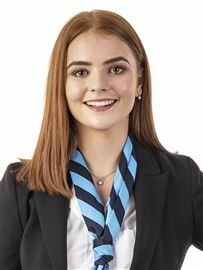 Brittany started with Harcourts Mount Waverley over 3 years ago in our Rental department and has created a very caring nature with both the Tenants and the Landlords. The time has come for her to enhance her career into the Sales department and in just a short time she has endeared herself to vendors and buyers, with her passionate zeal and customer service, she has already shown that Real Estate is the career for her. Brittany is a young, dynamic, thinker that will always give you the best advice for your situation. 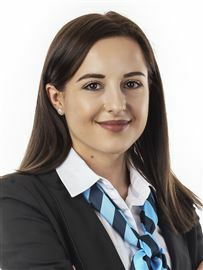 In her early 20’s, Brittany has the world at her feet, should you require professional service in Real Estate do not hesitate to contact Brittany. Thirty seven years ago Sin arrived in Melbourne. For the past 29 years he has lived in Mt Waverley with his wife and 2 sons. 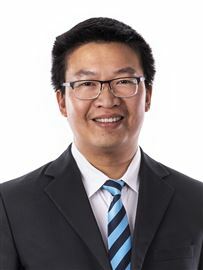 His fluency in Chinese, Mandarin, Hokkien and Cantonese, Malaysian and Indonesian as well as English makes him an excellent communicator with many of the buyers wanting to locate in the Waverley area. From a background in engineering and project management, Sin also has formal studies in Negotiation and Human Relations. Sin has been very successful in real estate since joining the industry in 1997. Sin has a reputation for being a courteous and friendly real estate professional. He enjoys meeting people, and loves his job and enjoys working in Waverley, where he has an extensive knowledge of the local community. Besides he also has a large client base from overseas such as China, Indonesia, Malaysia, Singapore and other parts of Asia. Sin is recognized as having specialist knowledge regarding new unit developments. He is well versed with Council regulations relating to redevelopment, and would be happy to give advice on any redevelopment proposals you may be considering. Often called “The Million Dollar” man because of his experience in selling million dollar plus properties, Sin makes good use of his extensive client base consisting of local and overseas contacts and has again won the Mount Waverley Salesperson of the year award - for the 5th year running. Sin´s success is attributed to his hard work, boundless energy and unlimited undertaking to his many vendors to achieve the best possible outcome when selling their properties. Sin will always make himself available to talk to you about your real estate needs, so call him now on 0400 133 956 for prompt and attentive service. The Best in the Block!